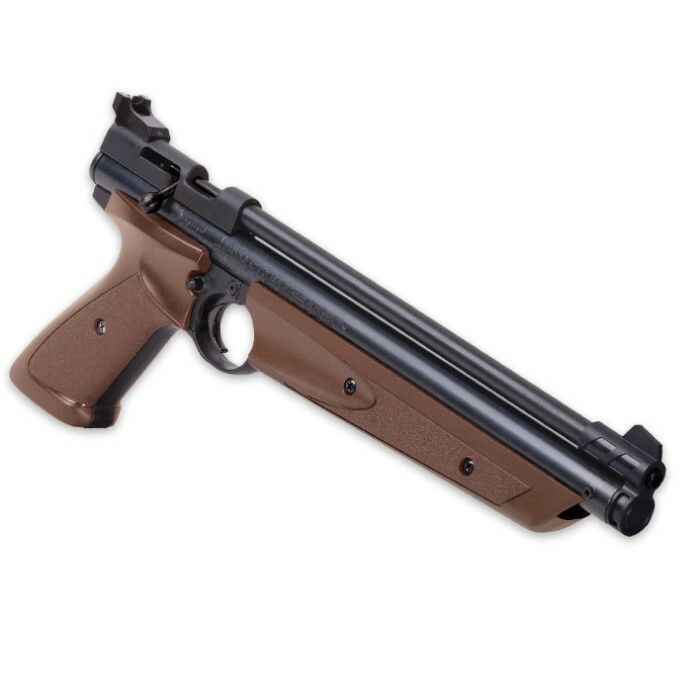 Crosman American Classic Brown Air Pistol | BUDK.com - Knives & Swords At The Lowest Prices! 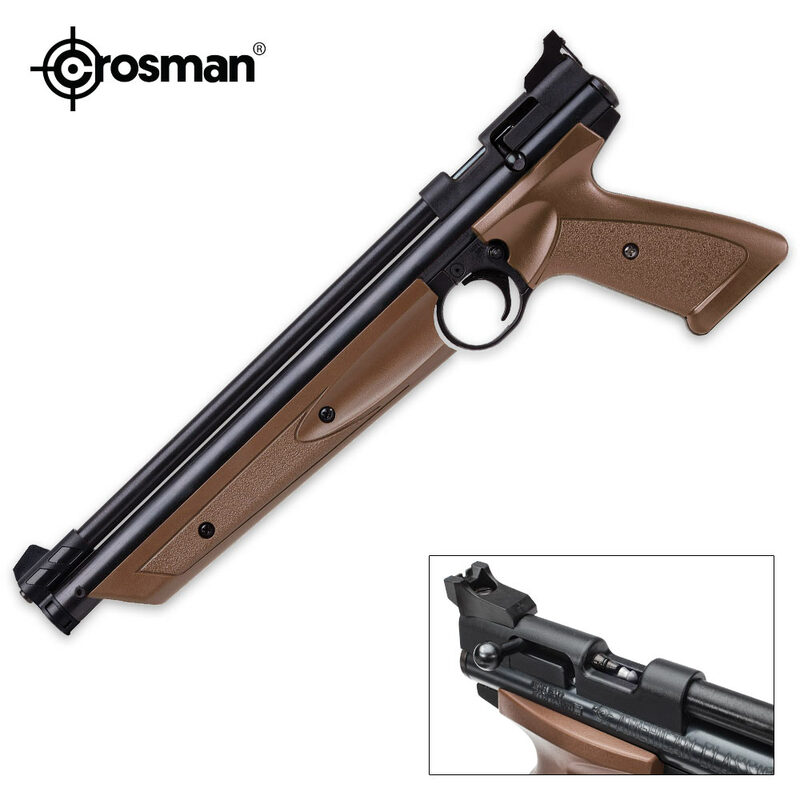 The Crosman American Classic Pistol has a new, sleek and modern design that features a single-action bolt design for easier cocking and loading. The .177 caliber pneumatic air pistol also features a rifled steel barrel for accuracy and an easy-pump forearm for variable pump power. The pistol has a fully adjustable rear peep or open sights and a fixed blade front. The variable pump power lets you control the velocity for whatever shooting you are doing. It is constructed with a steel barrel and polymer stock and has a crossbolt safety. It is 13 3/5" in overall length.